Regardless of the level of involvement you seek, there is a number of ways to support Tabitha’s programs in Cambodia. One of the most gratifying things about helping Tabitha is how much impact can be achieved with even a small donation. Donors and supporters range widely, from individuals and families, groups of friends to companies and organizations who with their contributions help improve the life of thousands of Cambodian families each year. Whether it is the sponsorship of Family Partnerships, the funding new water wells, helping families to buy and raise a set of piglets, or hands-on house building activities. There are many ways to make an impact. 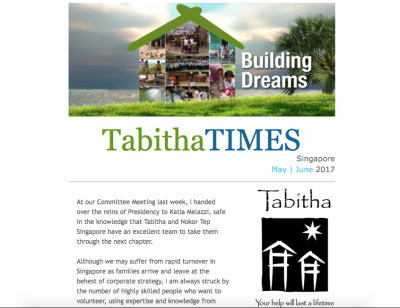 We welcome volunteers to the Tabitha programs, and for our cottage products sales events in Singapore. Fill out the form below and we will get back to you on how you may help. 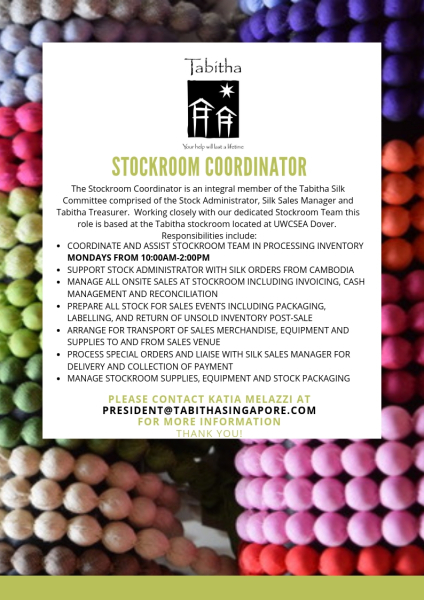 If you would like to know more generally about the work of Tabitha from a corporate point of view, please email ​ president@tabithasingapore.com . 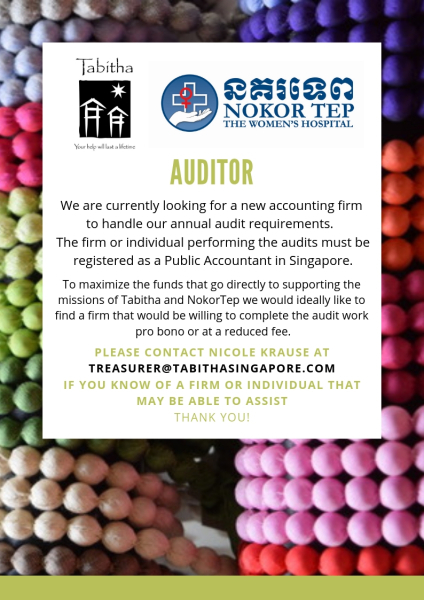 If putting together a team for house building interests you, please email housebuilding@tabithasingapore.com in the first instance. Come and visit us at our Silk Sales. You will not only get the chance to buy some beautiful silk products made by our lovely women in Cambodian, but you will also get the chance to meet our very enthusiastic volunteers. They will be only to happy to tell your more about the impact that Tabitha has on families in Cambodia. Dates of upcoming Silk Sales are posted on our home page, facebook & Twitter. Make sure you are on our mailing list - that way we can keep in touch and let you know about events that we are planning. It is also a great way to read the latest reports from Janne Ritskes in Cambodia.